A healthy IT environment is essential to the day-to-day running of your business, and we would like to offer you the opportunity to check the health and wellbeing of yours, with our free no-obligation IT Health Check. 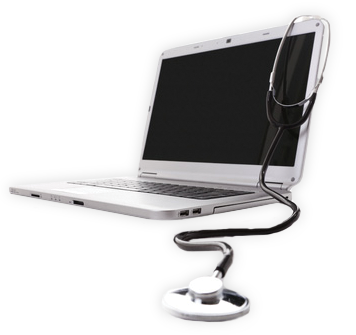 Just like ourselves, IT systems need regular check-ups to ensure they are in the best of health. Left untreated, your business could be vulnerable to being temporarily disabled by CryptoLockers & Ransomwear, left facing the consequences of inadequate back-up facilities, as well as experiencing ongoing business inefficiencies - remember : preventative care is more effective than treatment! Hal Group’s quick and painless procedure follows our custom-built framework to diagnose any threats to your business’s IT health and enables us to provide you with best practice recommendations. If necessary, we can then deliver a treatment plan to get your business’s IT Health back to optimum condition.